We carry a wide range of human hair pieces to fit the varying needs, budgets and styles of our clients. Our most popular brands are shown below. Please call or stop by for more information on products, and custom options. Truly the highest quality European human hair on the market, we are proud to be national distributors of Follea®, Nature's Most Beautiful Hair. Follea® wigs are made from the finest quality European human hair. The hair has never been chemically treated or heat damaged; it is cut from ponytails from girls ages 13-17 to maintain the youth and vitality of the hair. We have been in business for over 30 years and have never seen wigs of this quality before. We are proud to carry the Follea® Aero-2, Gripper™ Sport and Gripper™ Cool as well as the Aero-2 Topette™ Crown Extension Collections. No tape. No Glue. No Clips. Ask about our Follea® Gripper™ collection. We carry the largest selection of Follea® Gripper™ Wigs in Denver, CO. The Follea® Gripper™ can restore confidence and normality to women with an active lifestyle. There is no need for you to give up doing what you love because of your hair. Dancing, Swimming, hiking, running, biking and more are all possible with the Follea® Gripper™ wig series. Follea® Topette™ Crown Extensions are the perfect choice for adding hair to the top of your head or to enhance the volume of your existing hair. For those clients who have very thin or no hair on the top of the head, while retaining some stronger, healthier hair away from the front hairline and crown, we recommend Topette® Crown Extensions for a simple and convenient hair solution. These are light, thin and flexible hairpieces that can be used for daily wear. Simply snap the clips into place, style as desired, and you are ready to go! At Kim's Wig Botik, we are proud to offer pieces from Estetica's Hair Dynasty collection. This collection is known as one of the finest remi human hair wig collections. 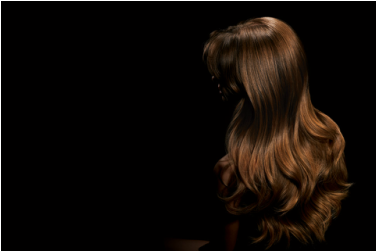 Wearing it, you will revel in the beauty of soft, silky hair for a look that is simply luxurious and elegant. We keep short and sassy, medium bob, and long layered looks in stock in many different colors. One of the most appealing aspects of wearing a human hair piece, is the ability to style it however you choose. They can be curled, or straightened, as well add high or low lights to create your perfect look.